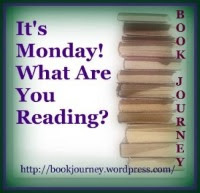 everything distils into reading: Monday: Mailbox/What Am I Reading? A GAME OF MURDER — It's an unusual case for New Orleans medical examiner Andy Broussard and psychologist Kit Franklyn. The victim is found stabbed, one eyelid removed and four board-game tiles with the letters KOJE on his chest. — The second victim is also stabbed, discovered this time with only three letters. Broussard has no doubt as to the killers' intent, but the clues left behind in each case are purposely incongruous. Broussard and Franklyn are certain of one thing: the killer has an uncanny knowledge of forensics. Also the murders are being brilliantly staged to lead the medical examiner to a disturbing conclusion -- the next two victims are to be Kit and himself. I am still reading Historical Romances!! And I am not blogging much. I have not read Melody Thomas. Enjoy your reading! I've been meaning to try that series by Donaldson. I hope you enjoy it. Come see my week. Happy reading! 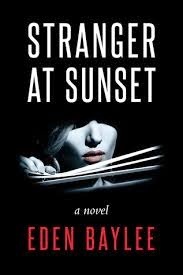 You have some good thrillers on your reading list! Hope they are fun to read! New Orleans Requiem looks good.